Speaking of things that I’m interested in, the BioShock novel, titled BioShock: Rapture, has an excerpt that you’ll want to read here at Tor.com. I’m usually skeptical about video game books or movies. However, from the excerpt, this seems well worth reading the book. If you’re just as excited about this as I am, you can pre-order the book at Amazon.com. The book will be available on July 19th. I noticed recently in the searches for my blog, that someone requested a Modern Warfare 2 soundtrack release date. From my research, the Modern Warfare 2 soundtrack is not available for release on a physical CD, however a download from Amazon is available here. Or maybe you don’t want to buy it, but just listen to it. Luckily for you, a Youtube playlist has been made, which you can listen to here. There’s about 130 videos, which all feature the MW2 soundtrack by Hans Zimmer. So have fun. Finally, it’s time for some free things on the web. Valve is now offering free-to-play games via Steam. The games available include: Champions Online: Free for All, Global Agenda: Free Agent, Spiral Knights, Forsaken Worlds, and Alliance of Valliant Arms. You can find these games and more by accessing the Steam Store via the “Store” tab in Steam, then click on “Genres” and then “Free to Play” in the drop down menu. Or you could just type the name of the game you want into the search bar to make things easier. I have about 5 minutes to post this, so I’ll make it quick. Expect to see some updates coming your way, I know there hasn’t been anything posted in a while, but that should all change soon, as I’ll have more free time on my hands. Lately, I’ve been playing L.A. Noire, which is an excellent game and you should go get a copy if you haven’t already. Well, it has certainly been a while since I posted last. During that time, a lot has gone on in the gaming industry. The Call of Duty and Assassin’s Creed series saw new releases before the holiday season hit, Rockstar Games released it’s amazing trailer for the upcoming game for L.A. Noire, and speaking of Rockstar, the talk of GTA V being released in 2012 has made it’s way around the web. Of course, all of these topics will be covered in future posts, however, I’ve been really impressed by Assassin’s Creed: Brotherhood lately. With that said, this entire post will be dedicated solely to Assassin’s Creed. First and foremost, a new FREE DLC for Assassin’s Creed: Brotherhood will be released on December 14th for both Xbox Live and Playstation Network. It will be titled: “Animus Project Update 1.0” and will include a new game mode (Advanced Alliance) and a new multiplayer map: Mont Saint-Michel. While that may not seem like a lot, who cares? It’s free! 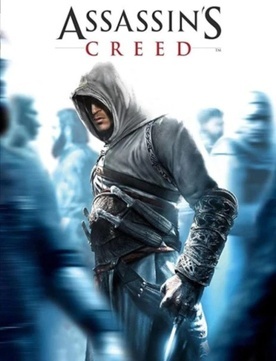 Ubisoft executives said that it is their goal to have Assassin’s Creed games released on a yearly basis. 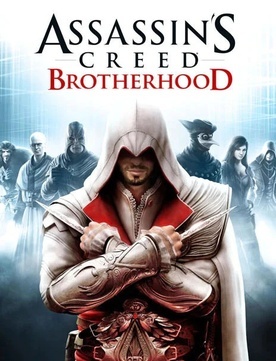 Well, if Ubisoft plans on releasing a new game each year, then they can hopefully expect to see some serious bank considering that Assassin’s Creed: Brotherhood did so well on it’s first week. In Europe, AC: Brotherhood sold over 1 million copies in less than one week. In all, the Assassin’s Creed series has sold over 20 million units. For those of you wanting to find out more information on the AC series, please check out the awesome Assassin’s Creed Wiki page. First, I would like to thank you guys for checking out my blog. I know the beginning of this may sound like the starting of an acceptance speech, but whatever. He continued on to talk more about Mafia 2 which can be read at this nice little link. Basically, I’m happy with one ending. I mean, it’s a game and story about the Mafia, how many endings could you possibly have? Either you raise to power and become a Don or not. What I’m really excited about, and this may seem small and petty, is the changing environments that Mafia 2 will feature. If you saw the video below, they point out that the weather changes from snowy and winter-y to nice and spring like. Which is something that you really don’t see in a lot of open-world mafia/gang-based games such as The Godfather and Scarface: TWIY. Well, they are aiming towards realism, so way to go. Mafia 2 will be released in August 2010 for the US. Speaking of 2k and multiple endings, 2k Marin’s BioShock 2 will be getting a single player DLC next month on August 3rd for PC, X360, & Ps3 for 400 MS Points/$4.99. Basically the new DLC will be called “Protector Trials” and will feature 6 new maps, 3 unique difficulty levels, new unlockables, and 7 new achievements/trophies. The DLC will focus around you, the Big Daddy, fighting off splicers to protect the little sister while she gathers (hence the name “Protector Trials”). This seems a little disappointing considering I thought that the most tedious part of BioShock 2 was the gathering with the Little Brats..er..I mean, Sisters. I hate to leave you guys hanging like I have been lately, but I’ve been occupied by other various things. My blog list just keeps adding up like crazy. I can’t promise a blog tonight, because everytime I do, it never happens. Well, regardless, I might have to start posting once a week. That will probably be during the weekend. But for now I have plenty of videos and sites you guys can check out via the links provided in my posts. Game News 6.17: E3 2010, 10 Dumbest Moments in Game History, & What Should You Get Your Gamer Dad for Father’s Day? Father’s Day is June 20th, if you want something inexpensive What They Play has created a list of some affordable apparel that you could give as a gift. Of course, giving out console accessories (mics, Xbox Live Gold Subscription Card, MS Points, skins for the console, Wii Sports Resort Accessories, even an additional controller) and used games are also other options you could go for. See the site here. Or ya know, you could always take the easy way out and get them a gift card. You can read all 10 moments here. And oh yeah, there’s this cool Fallout: New Vegas interview via Gameplanet with the senior designer of the game. <<<—click the link to read the interview, bro. Next time I’ll be talking about how the new Xbox 360 (yes, NEW(and slimmer!)) consumes 10% less power for those of you who are concerned about that type of thing.